The only PS4 stand in the market stand either horizontally or vertically, best simplicity cooling solution for PS4! 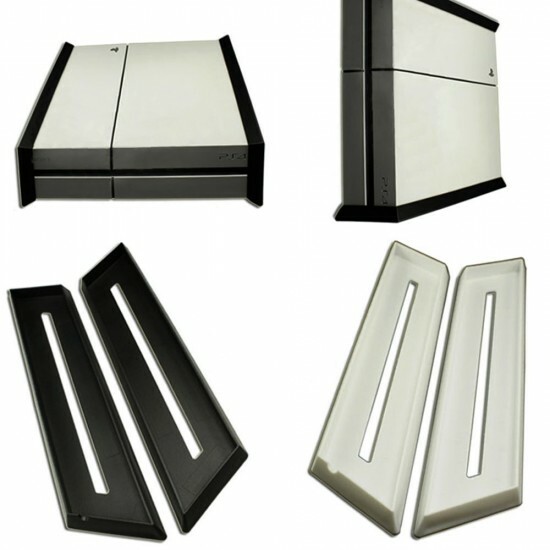 Made of TPR Material, similar to silicone touch, protect your PS4 console from suddenly shock or fall down. Bumper design protect all 8 corners of your Playstation 4 console. 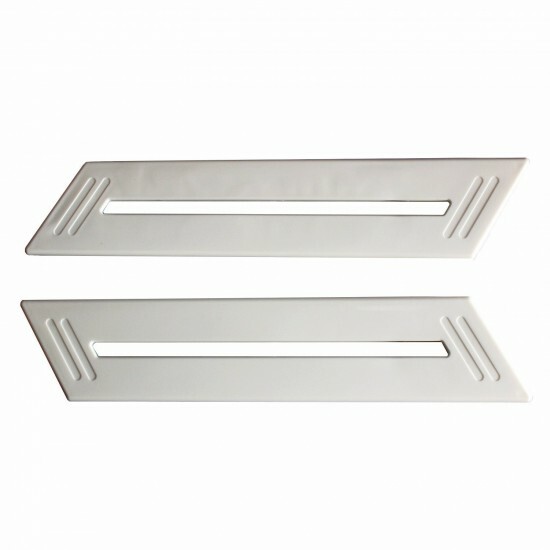 One-step installation and fit tight on both sides of your PS4. White & Black two colors to choose from, 2 pcs/ pack. 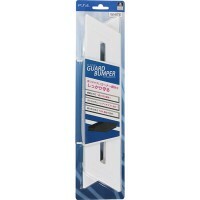 Protect the corners of PS4 with bumper covered which made of TPR Material. Feature 1: Protect vulnerable corners. 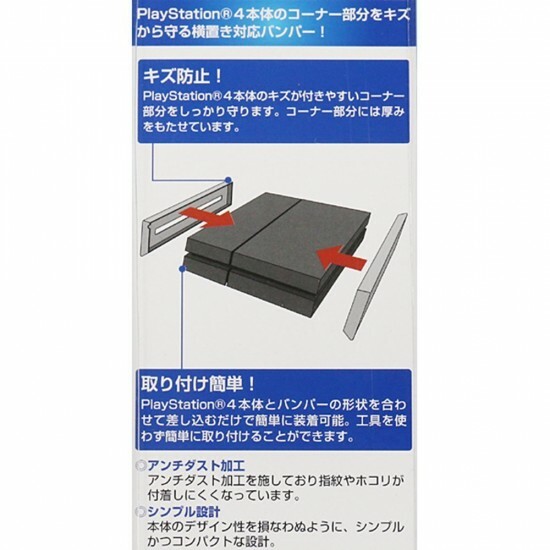 · TPR material protects PS4 console from accidental shock over the counter in video game store or suddenly fall over. 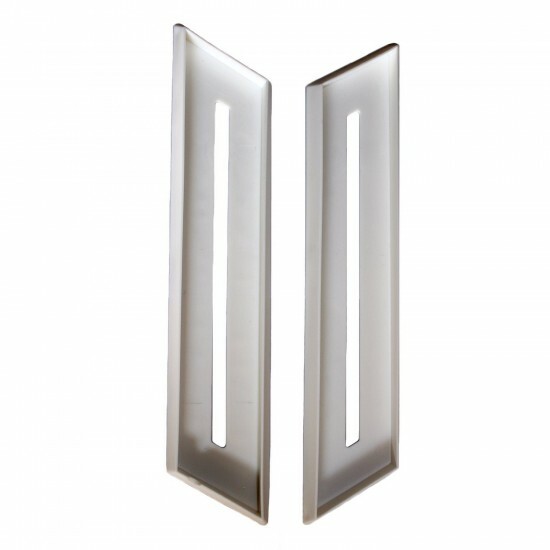 Feature 2: Could be in placement of both vertical and horizontal. · Corresponding to both Vertical and Horizontal. Either to suit the location or by your preferences. · PS4 is easily installed by simply plugging into this product.